We all know that Christmas time is the most magical time of the year. But it looks like this year there is so much Christmas magic in the air that it has resulted in a real-life festive tale. 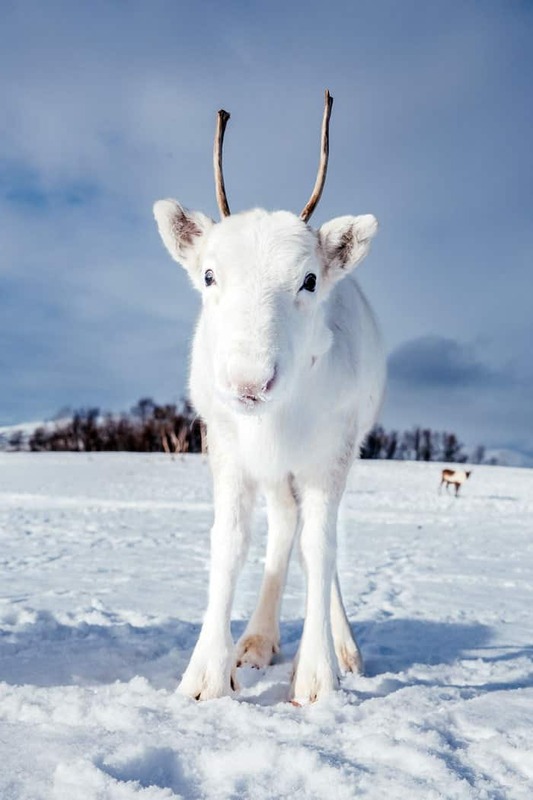 This white baby reindeer has been spotted in Norway and it’s like something out of a fairytale. The beautiful white baby reindeer is some sort of a Christmas miracle. 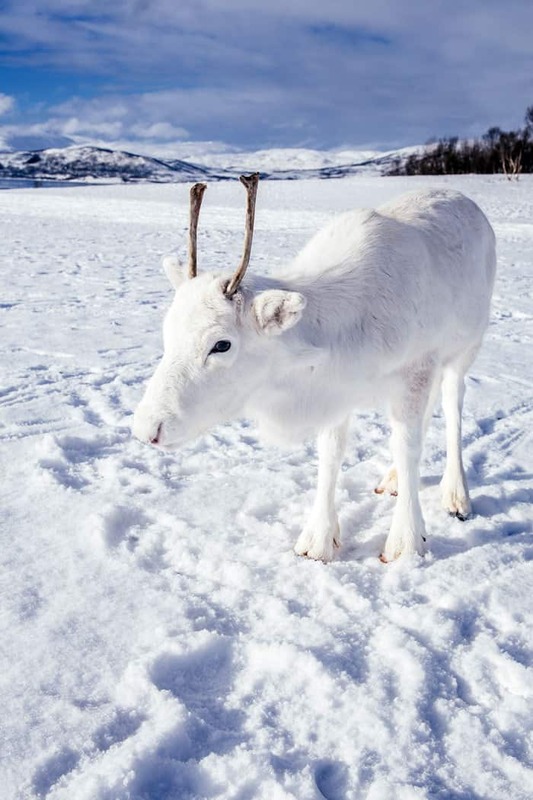 White reindeers are extremely rare, but one has been spotted in Oslo, Norway, just in time for the festive season. The stunning photographs of the rare creature were captured by photographer Mads Nordsveen. 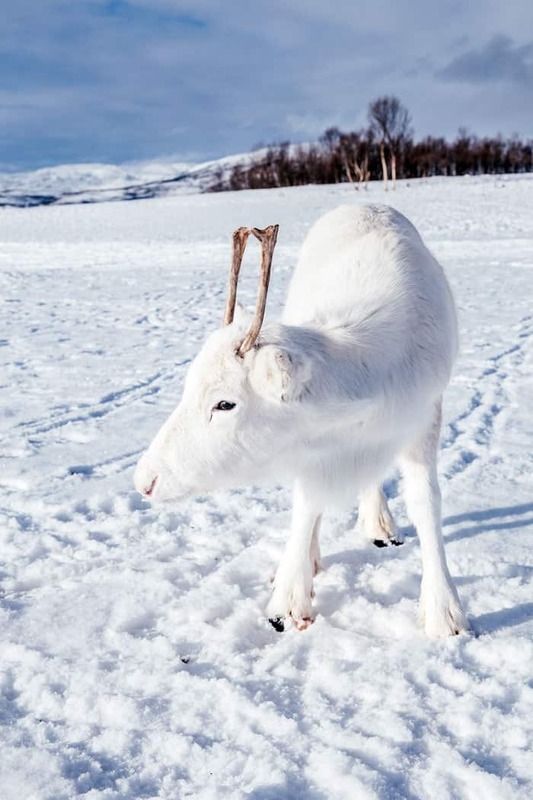 It would have been very easy for Mads Nordsveen to have missed the pure white baby reindeer. After all, it camouflages perfectly into the snowy landscape. Thankfully, he did and captured these beautiful photographs for us to admire. He said that the baby was certainly not camera shy and even posed for some photos. That’s why he managed to get such up close photos. He even managed to share a moment with the gentle creature. 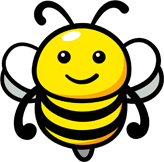 He came very close to me and we looked at each other straight in the eyes. After some minutes the mother of the baby reindeer came out of trees just behind. It walked around for some minutes before running back to its mother. It was very magical and a fairy tale moment. 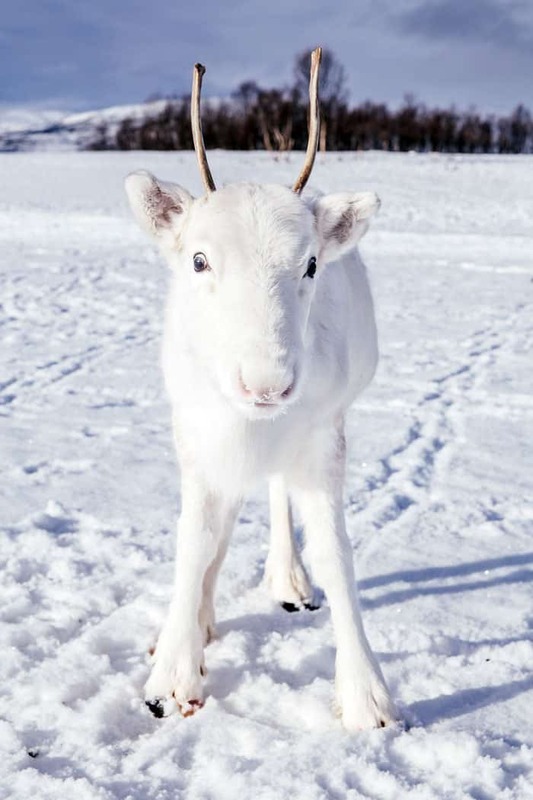 The reason for this white baby reindeer is that he has an uncommon genetic mutation that strips the fur of pigment. This allows him to blend into his snowy surroundings. 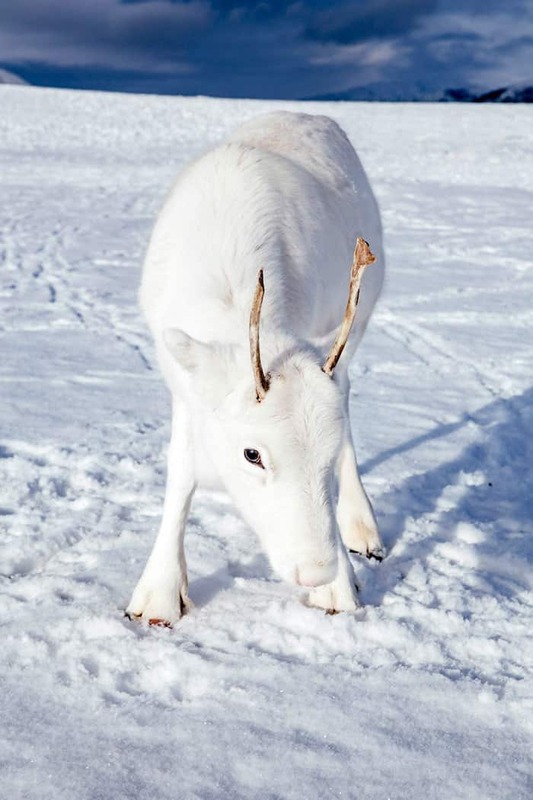 But the stunning animal isn’t albino as he still has dark pigmentation in is eyes and antlers. I don’t know about you but this little guy has to be one of the most beautiful animals I have ever seen. What a stunning work of mother nature!